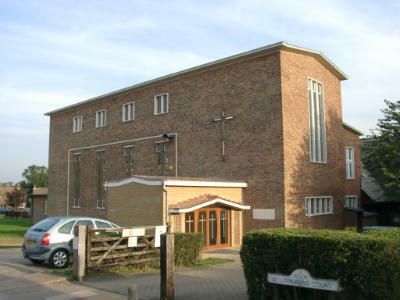 Her Majesty Queen Elizabeth II laid the foundation stone of the Church on 20 July 1952. (Designation Order 1947) has been made. Hemel Hempstead is to become a new town'. Church was built to meet the spiritual needs of the people. is the Parish room which is used as a vestry, youth room and for other meetings at other times. as well as modern toilets, including disabled, for your convenience. Highfield, the Old Town, Gadebridge and Warners End. The Team Rector is vacantl.